Amazon Air has started a double daily freighter flight to Miami, operated by Atlas Air, despite concern about pilot numbers. Shuttling from Miami, between Amazon’s favoured destinations such as its Cincinnati hub, Ontario and Houston, it is using Atlas’s now 21-strong fleet of 767-300Fs earmarked for Amazon Air. Amazon has a facility to sort packages at Miami and four warehouses in Miami-Dade County within 12 miles of the airport. 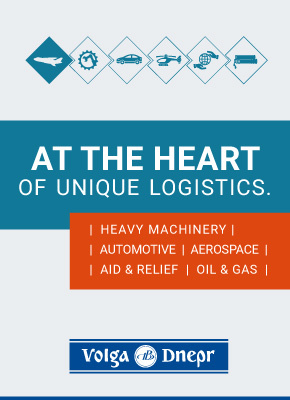 The largest is a new 885,000 sq ft fulfillment centre at Miami-Opa locka Executive Airport, completed this year. 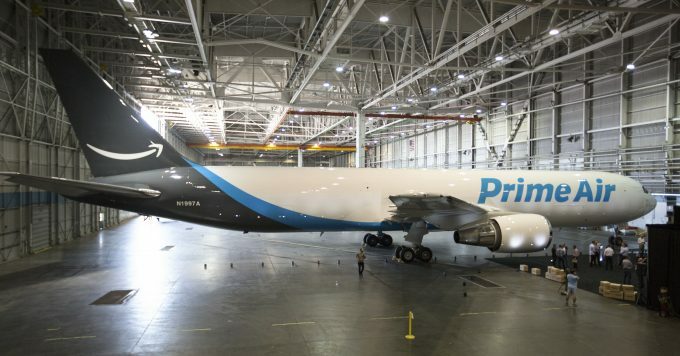 While Amazon Air appears to be busy, pilots from the International Brotherhood of Teamsters who fly for Atlas and ATSG have claimed a pilot shortage is restricting Atlas from operating all its 767s. “Some airplanes are parked, hiding under maintenance,” one source told The Loadstar. “There is a shortage of crew. We understood that Atlas thought all 20 should be operating by October, but we don’t think there are enough pilots to crew them. Atlas failed to respond to requests for comment, but had said in recent investor earnings calls it would have 20 aircraft in operation for Amazon by the end of the year. According to the planespotters.net website, it now has 21 767s under the Amazon brand, but only 18 appear to be operating, according to flight tracking data. Of its other 767s, Atlas has three stored – one after a hard landing incident in July – and another due for delivery anytime, after conversion by Boeing. The pilots claim that Atlas is short-staffed to the tune of some 265 pilots, and it does appear that Atlas is struggling to hire or retain pilots. While it hired 311 in the first half of 2018, overall it grew by just 160 pilots. In August, some 27 pilots left the carrier for retirement or better offers. The plots also claim Amazon is being kept in the dark. A survey of ATSG and Atlas pilots, conducted by the union last year, showed that nearly 80% of those who responded witnessed flight delays or cancellations at their airlines due to short staffing. And when asked if they were confident that their companies were telling key customers like Amazon the truth about their challenges, 83% of ABX pilots and 80% of Atlas pilots who participated in the survey strongly disagreed. The pilots will be protesting outside the Cargo Facts Symposium in San Diego today, where Atlas and ATSG executives are due to speak. A couple of points. First, 20 of the 21 Atlas “Amazon” aircraft have in fact been placed in service. Planespotters.com is a great resource, but if it says differently, it’s wrong. The 21st aircraft was just delivered and has been in Amarillo, Texas since 10/9/18 to be painted. Figure about two weeks to do that. Second, 13 of the 21 aircraft were converted by Israel Aircraft Industries/Bedek in TLV, not by Boeing, including the 21st aircraft (N1487A). Third, the Atlas pilots’ union, in negotiations for a new contract, has been saying for two years that Atlas will not or does not have enough pilots to perform their flights. The same union, in the same situation at ABX Air, says the same thing about ABX. ABX Air, however, only flies 6 of the 20 Amazon aircraft leased to Amazon by an ATSG subsidiary. The other 14 are flown by ATSG subsidiary ATI, which is represented by a different union, ALPA, and has largely-good labor relations and happy pilots. And plenty of them. Fourth, not all 20 of the “Amazon”-service aircraft are dry-leased to Amazon, nor were they all expected to be operating simultaneously. Amazon builds into the network at least one as a “hot spare”, and Atlas maintains two as maintenance spares. Many of these aircraft have flown enough that HMVs are becoming necessary, and both ATSG and Atlas are rotating aircraft through HMVs. The Atlas aircraft aren’t “hiding” in maintenance. Two at a time are being rotated through maintenance, and these visits have zero effect on the network, because they are planned and covered. (1321A and 1709A are currently at VQQ for maint. 1321 recently rotated in, replacing an aircraft that recently rotated out.) Amazon has been very careful not to add routes before there are plenty of aircraft to cover them, and each of ATSG and Atlas have added two aircraft to its fleet beyond the Atlas-dry-leased ones precisely to compensate for anticipated-or-unanticipated maintenance needs. At Atlas, every single Amazon-network aircraft, other than the hot spare and the two in maintenance at VQQ, is either currently in the air or has operated an Amazon flight in the last 24 hours. Thank you so much for that update. It is really helpful. We asked Atlas a couple of weeks ago, but did not receive a reply. Thanks for helping provide an accurate picture. Okay, well I have a solution to the problem for “Prime Air.” Since Amazon is a large entity and has billions of Dollars, why do they not pay for someone like… Oh I do not know… Me, to learn how to fly and Pilot one of their Aircraft for Atlas Air? I am 40 Years Old, have wanted to become a Pilot all my life, since watching the Space Shuttle Challenger launch and unfortunately explode. I was 6 years old at that time. Either way, the cost of Flight Training is outrageous these days. Since Amazon has abundance in Cash, they souls do that. I would gladly volunteer for said venture and fly to my hearts content. Heck, I would do it for free if it meant I could fulfill a passionate dream.